The destination seeks to use the game of polo to strengthen luxury tourism, the Premium segment and investments; all of these elements dovetail perfectly with the Riviera Nayarit and its objectives. 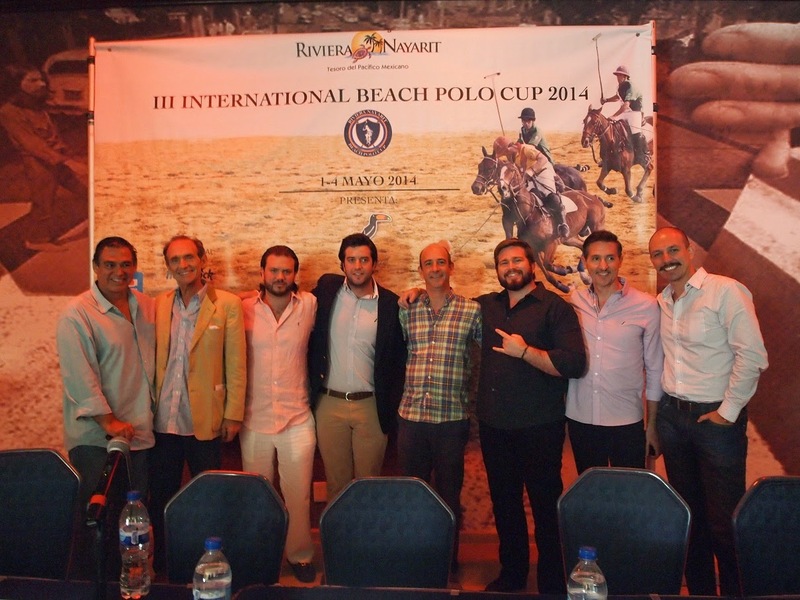 The 3rd International Beach Polo Cup 2014 was announced during a press conference; the event will be held May 1 – 4 at the Hard Rock Hotel Vallarta. This is the sixth time the Riviera Nayarit Convention and Visitors Bureau (CVB) will be backing the event; it’s the third time it will take place on the beach. The event has grown to encompass eight teams: two from Guadalajara and two from Mexico City, plus teams from Italy, Canada and Switzerland, as well as a mixed team with players from Mexico and Argentina. It is also being extended one more day for a total of four days. José Antonio Amutio, Marketing Director for Tucané and part of the organizing committee, informed they are expecting a 30% increase in visitors compared with last year’s cup, which had around 650 spectators. This sporting event blends glamour, luxury, rock, beach and family. The date was chosen to take advantage of a national holiday. “Thanks to the support of the Riviera Nayarit CVB and the State Government the events at the Hard Rock keep coming and keep getting bigger,” said Manuel Rubio, General Manager of the host hotel. Among the novelties of the 2014 event: it will be the first tournament with augmented reality taking place during the event itself, generating interaction through technology. Another special touch: each of the trophies is an exclusive work of art. The Riviera Nayarit CVB promotes and encourages high-expenditure tourism per the direction of the Banderas Bay Hotel and Motel Association and the State Government.